Show us your spots! Researchers need samples of bacterial leaf spots on celery, cilantro, parsley, and other crops. 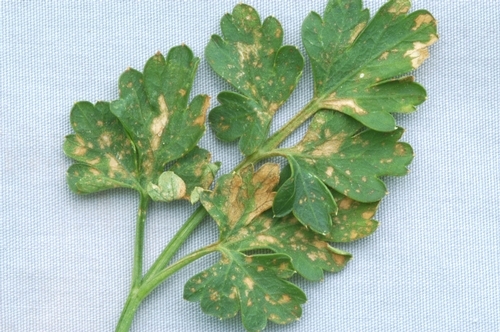 Since 2002, a severe leaf spot disease on parsley has occurred throughout central coastal California and particularly in Monterey County. Three different bacterial pathogens (Pseudomonas syringae pv. apii, P. syringae pv. coriandricola and an organism very closely related to P. viridiflava) have been associated with these outbreaks on parsley. Of interest to researchers and of potential importance to growers is the fact that two of these bacteria were already causing problems in coastal crops. Pseudomonas syringae pv. apii is the causal agent of northern bacterial blight of celery and P. syringae pv. coriandricola causes bacterial leaf spot of cilantro. 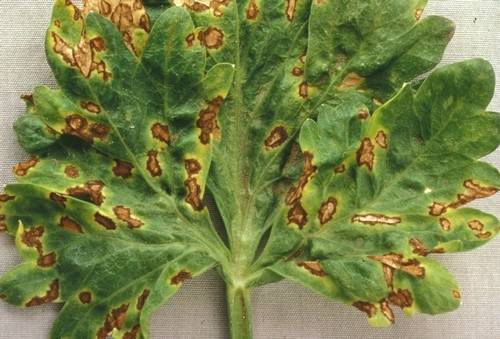 Symptoms of all three diseases are similar and consist of small (usually less than ¼ inch in diameter) leaf spots that are noticeably angular in shape, with the edges of the spot restricted by leaf veins. The color of the leaf spots can vary from light tan to brown to dark brown. These bacterial leaf spots penetrate the entire leaf, so that the spot will be visible from both the top and bottom sides of the infected tissue (in contrast to chemical damage or abrasion in which the symptom is usually only seen from the top side of the leaf). See photos below. Our research team is also investigating a possible new bacterial disease on fennel, as well. Because of these developments on commercially grown plants in the Apiaceae, we are seeking additional samples of foliar problems from any member of the Apiaceae crop group: celery, cilantro, dill, fennel, parsley, and others. Further clarification of the relationship between these various bacterial pathogens, determination of which hosts are susceptible to which pathogen, and other aspects may assist industry in managing these diseases. The best samples will consist of diseased plants collected from several different locations of a field. Send samples to the UC Cooperative Extension diagnostic laboratory in Salinas: 1432 Abbott Street, Salinas CA, 93901 (phone 831-759-7550), attention Steve Koike. Bacterial leaf spot of celery. Bacterial leaf spot of cilantro. Bacterial leaf spot of parsley. 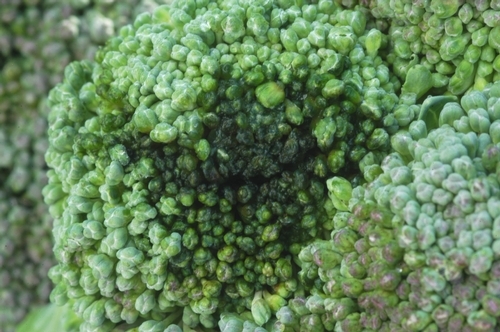 Experienced growers, pest control advisors, and other field professionals involved with broccoli already know that the winter period can signal increased problems due to head rot (also known as pin rot). 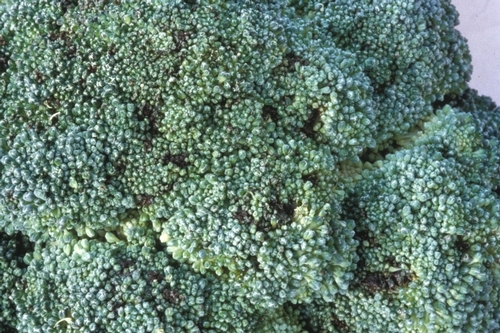 Favored by cool temperatures and prolonged periods of moisture from rain, dew, and fog, broccoli head rot continues to be a damaging and yield-reducing factor because preventative measures have yet to be consistently effective. Spray applications have not proven to be consistently reliable tools to prevent head rot. While some cultivars (especially those having rounded, dome-shaped heads) may be less susceptible to head rot, true resistance has not been demonstrated for cultivars grown in California. Trying to avoid the use of overhead sprinkler irrigation is apparently the only cultural practice that helps reduce disease; however, the winter and early spring weather will enhance head rot even if growers use drip or furrow irrigation. Field personnel should remember that two types of head rot affect the crop in California. 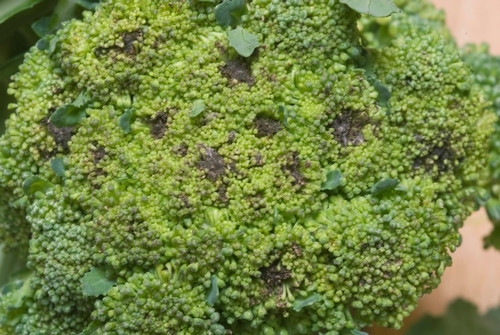 For bacterial head rot, initial symptoms on the immature broccoli heads consist of a water-soaked or greasy discoloration of the surfaces of small groups of the unopened flowers. Later, the affected portions of the head turn brown to black and the infection spreads and affects larger parts of the head. The tissue becomes soft and gives off a very bad odor. For bacterial head rot there will not be any fungal growth unless secondary molds colonize and cause further decay. 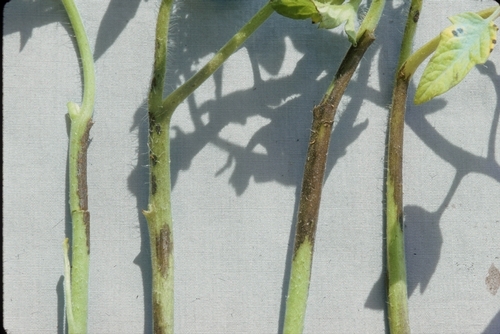 The second type of head rot is Alternaria head rot. For this fungal problem, early symptoms consist of a water-soaked discoloration that later turns dark brown to black. Tissues infected with Alternaria are usually not as soft and smelly as heads infected with the bacterial pathogens. Alternaria readily produces dark green spores on the diseased head tissue. Secondary molds and bacteria cause further decay. For much of spring and early summer 2010, coastal California continued to receive rain. Such rain significantly increased bacterial leaf spot disease problems on cilantro. 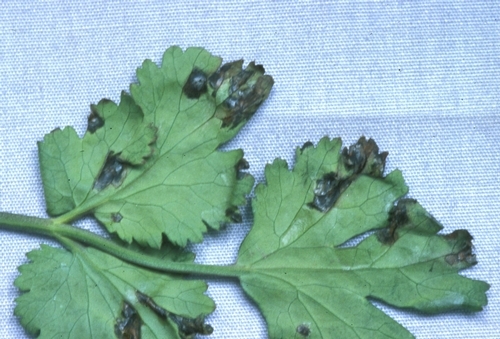 Presently, bacterial leaf spot is the only foliar disease affecting cilantro in California. Bacterial leaf spot is greatly increased by splashing water from rains and overhead sprinkler irrigation. 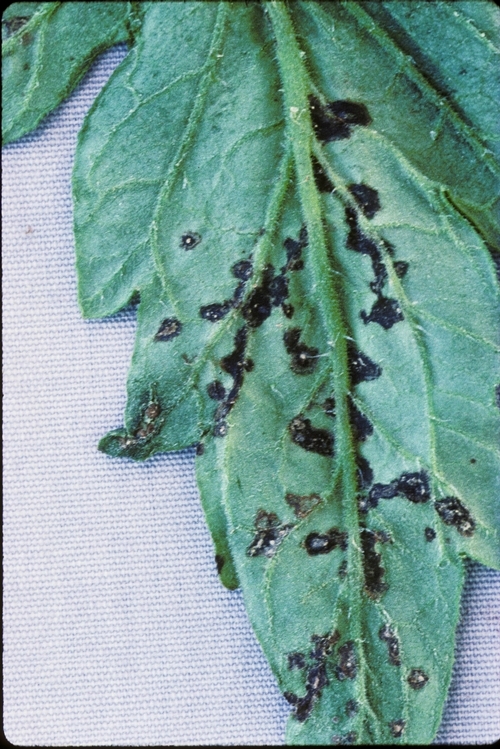 The disease initially causes water-soaked, vein-delimited spots on leaves. 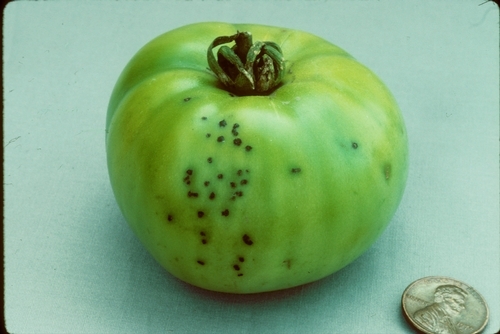 These spots rapidly turn dark brown in color, remain angular in shape, and can be seen from both top and bottom sides of leaves. 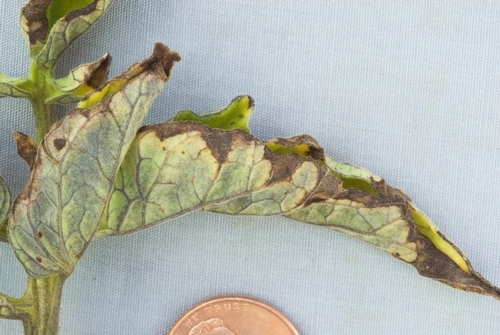 If disease is severe, the foliage can take on a blighted appearance when leaf spots coalesce. Cilantro crops with significant amounts of this disease will be unmarketable. The pathogen is Pseudomonas syringae pv. coriandricola. This pathovar is host specific to cilantro and does not infect celery, parsley, or other apiaceae plants. The most critical disease cycle factor is that this pathogen is seedborne in cilantro. Therefore, infested seed is the primary means by which the pathogen gets into the cilantro production system. Because most cilantro plantings are irrigated with overhead sprinklers, disease control is very difficult. If possible, use seed that has been tested and found to be pathogen-free or that has been treated. 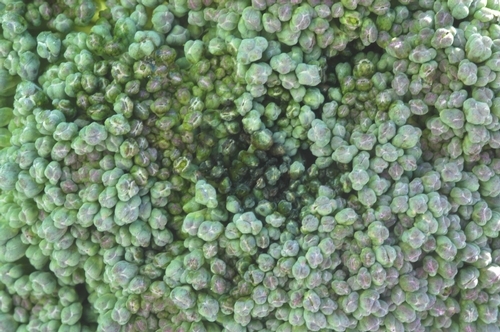 Minimize the use of sprinklers or schedule irrigations to enhance drying of the foliage. For both conventional and organic cilantro, the only foliar treatment available is a copper fungicide. Such copper sprays provide some protection but are generally not effective enough to achieve sufficient control. 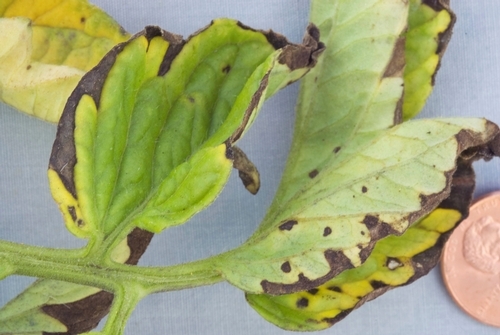 We encourage growers and pest control advisors to continue to submit cilantro samples to our UC Cooperative Extension diagnostic lab in Salinas for confirmation of this problem. While bacterial leaf spot is the only documented foliar disease of cilantro in California, other parts of the world have reported a fungus leaf spot disease on cilantro; therefore, laboratory testing of California cilantro is advisable. Bacterial leaf spot of cilantro is recognized by its dark brown, angular leaf spots that are visible from both top and bottom sides of the leaf.